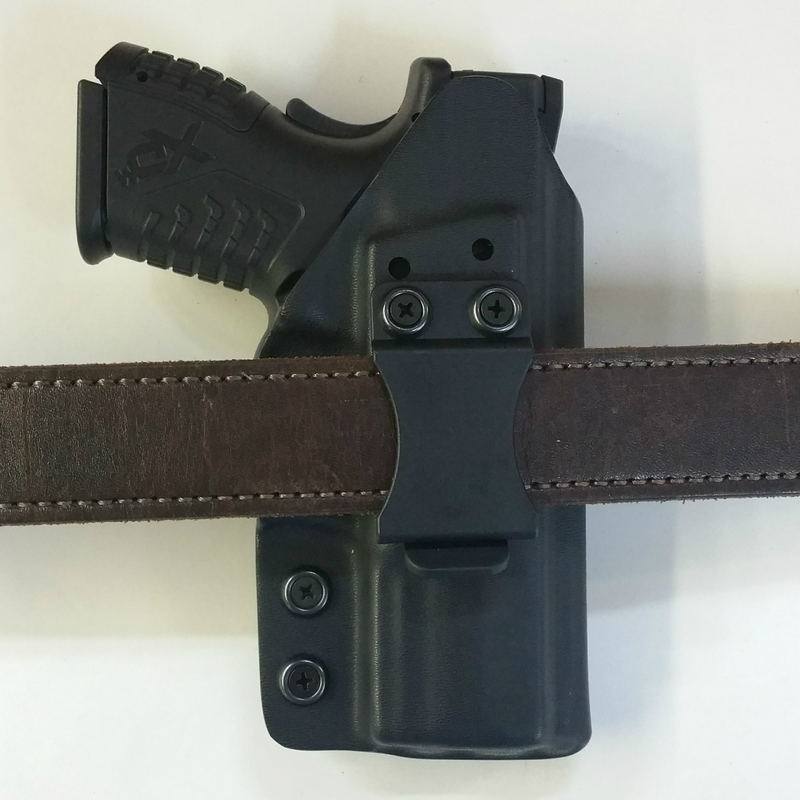 Our all Kydex holster can be worn both inside the waist band or outside your waistband by placing it in between your belt and your pants. 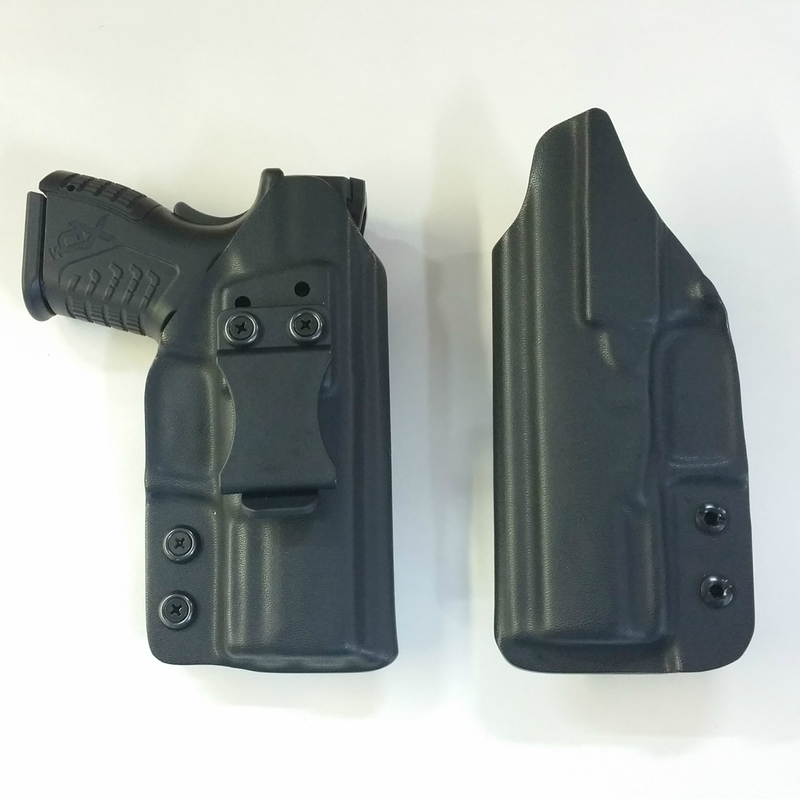 It is an extremely high quality holster for those who prefer an all Kydex holster. 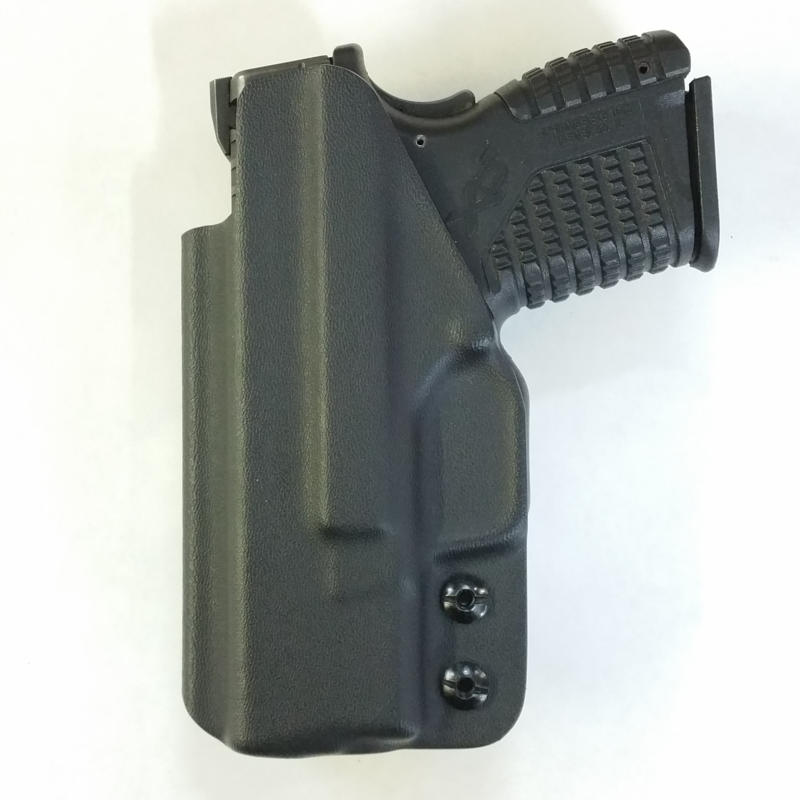 This holster rides great in-between your belt and your pants, giving you the up-close fit of an IWB holster & the comfort of an OWB holster. It can be adjusted for retention, ride height and cant. Straight drop to forward cant it can be worn at any position on your belt. It is very easy to put on and take off.